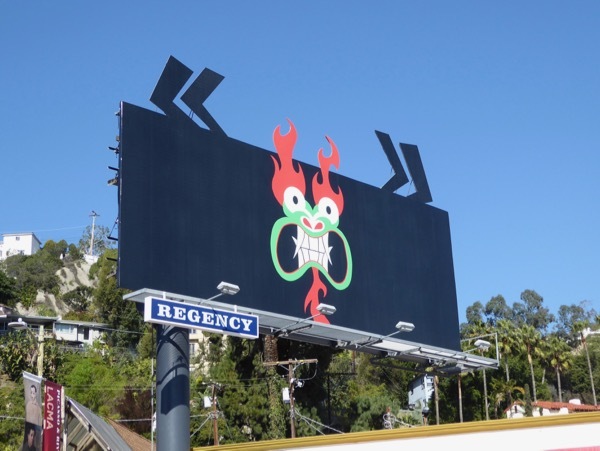 Long ago in a distant land, a demonic shape-shifting wizard named 'Aku' banished a young prince and his mystical katana sword who would be his doom into the future via a time portal where he was all powerful. 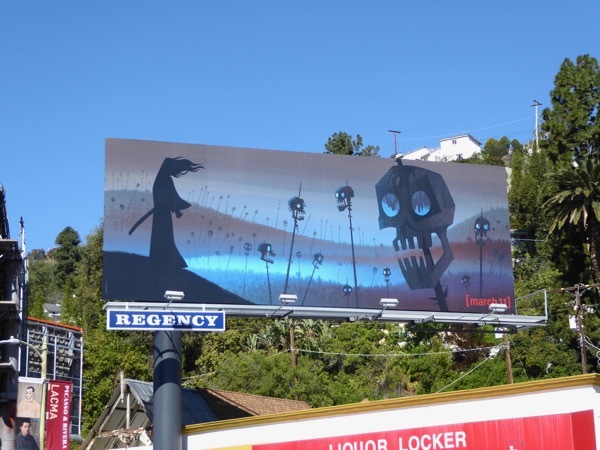 For four seasons this 'Samurai Jack' from feudal Japan struggled to fight his way back to the past against the tyrannical Aku's robotic minions and monsters, but the time-traveling portal always eluded him. 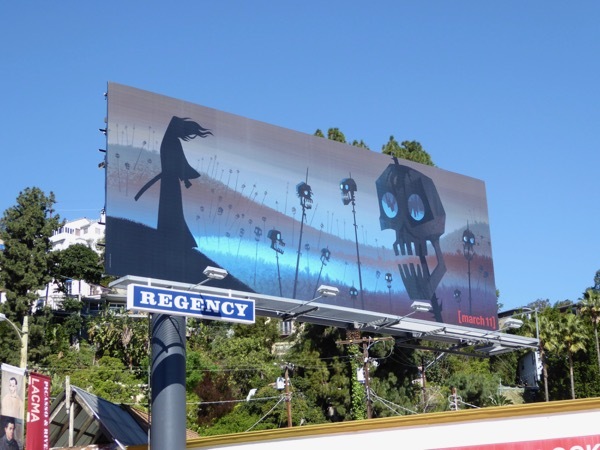 Now fifty years later in his adventures (and around eleven years later in real life), Jack is back to take on Aku and his followers in the fifth and final season of Genndy Tartakovsky's cartoon series about the time-displaced Samurai. 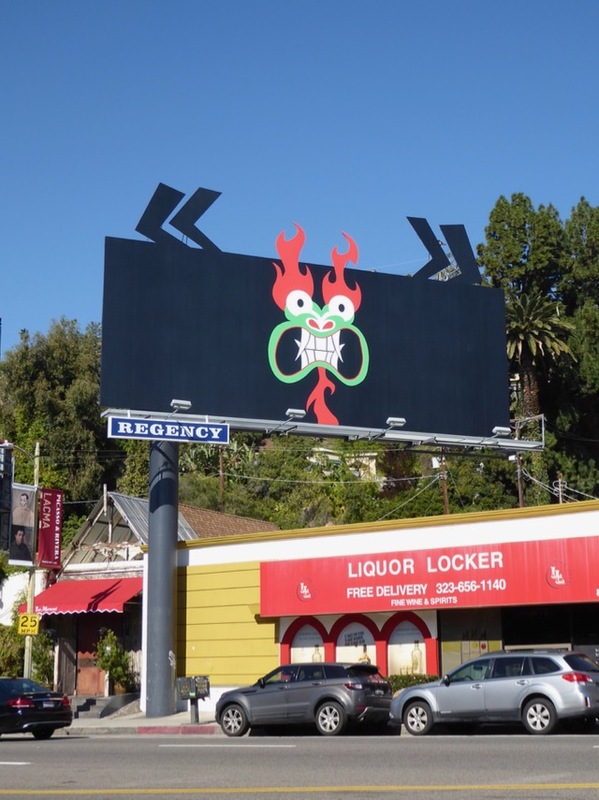 This fun 'Aku' special extension cut-out billboard was snapped making an impression along West Hollywood's Sunset Strip on January 31, whilst the standard landscape 'skull' version for the Adult Swim show was photographed in the same ad location on February 23, 2017. 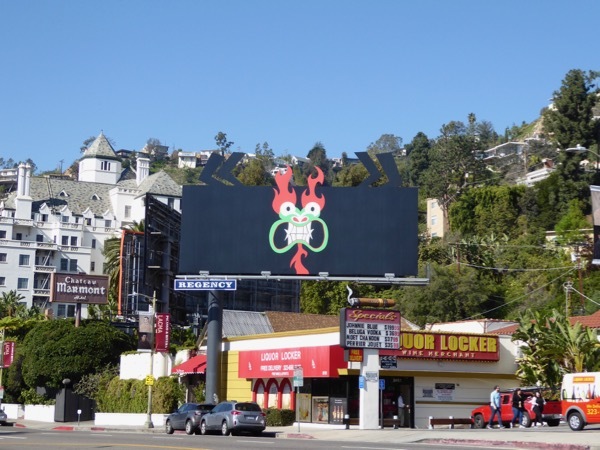 For more fun billboards from Adult Swim, make sure you also check out this 3D crashed spaceship billboard for Rick and Morty, these funny Robot Chicken billboards and these clever Delocated billboards. 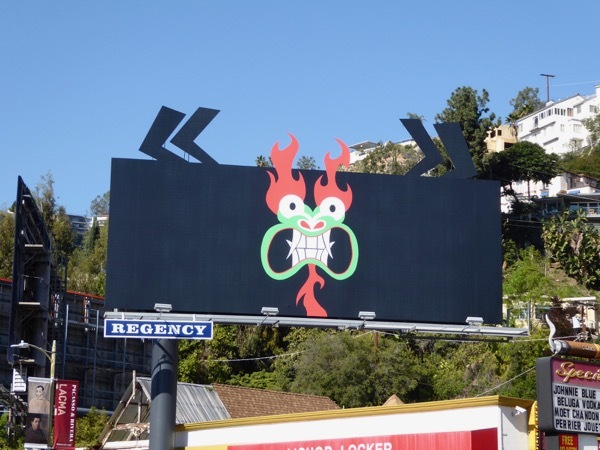 Will the time-tossed Samurai ever fulfill his quest to defeat the evil Aku? 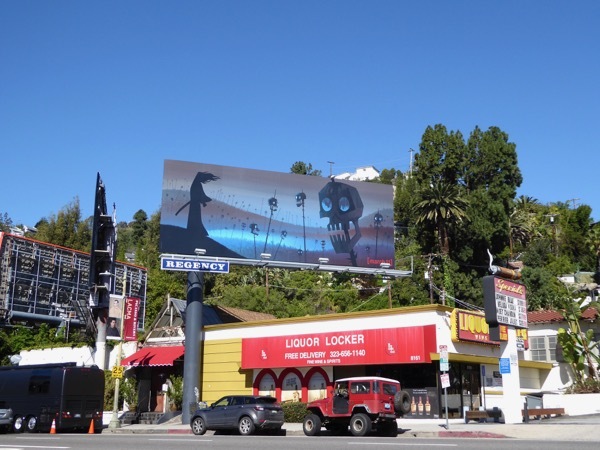 You'll just have to tune in and see, as this more mature season promises to bring Jack's journey to a well deserved conclusion.